Our 20 February speaker, Dr. Alana Harris, has had to cancel due to health reasons. However, we are very fortunate in having another speaker booked for that evening. 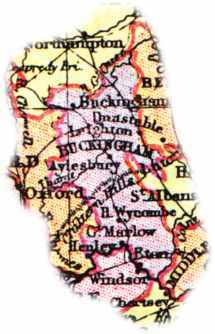 Anthony Poulton-Smith will be speaking about his latest publication – Buckinghamshire Place Names. This is very exciting as we now have the opportunity to hear about recent research into our own county. The speaker wishes us to be prepared to ask lots of questions. So this is a excellent chance for you to fire out your ‘why is it called this?’, ‘where does that come from?’ questions. Anthony will also be bringing about 20 copies of his book for purchase at £10 each. The Republic of Ireland was established.